Start your car buying process today at High Country Toyota in Scottsboro, AL – serving Albertville, Anniston, Fort Payne, Gadsden, Guntersville, and Madison. We have an incredible Toyota vehicle inventory in the Scottsboro area with your perfect match somewhere on our lot. Find the car or truck you’ve been dreaming of, thanks to our friendly and knowledgeable staff. 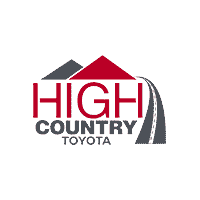 Whatever your needs may be, they can be met here at High Country Toyota. Starting with our sales team, you’ll find kind and compassionate people who want to find you the perfect vehicle to fit your budget and lifestyle. Whether you come in knowing exactly what you want or you show up without a clue, we’re here to help. Next, we’ll help you find the right auto loan with payments you can afford in our finance department. By working with trusted lenders, we’ve found you the most reliable options when it comes to financing your new Toyota. Finally, we’ll work to keep your Toyota car or truck working like magic with dedicated care and attention in our service department. From routine maintenance to unexpected repairs, we’ve always got you covered. You can see that High Country Toyota doesn’t focus on the sale; we focus on the car buying experience. You should always be able to drive home the new Toyota you’ve always wanted without all the stress. Come visit us today at 3011 South Broad Street, Scottsboro, AL 35769, or give us a call at (256) 259-1159, to experience a fun and hassle-free car buying experience.